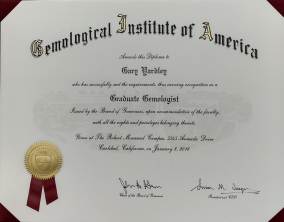 As grandson to our founder Aaron Dean Fluckiger, Gary Dean Yardley first began working for Aaron's Jewelry in 1986. 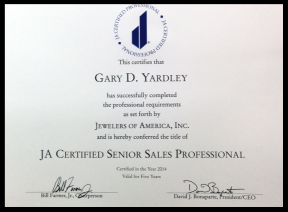 He has occupied many positions here at Aaron's over the years and currently serves as our Sales Manager, one of our bench jewelers, and our resident Gem Expert. 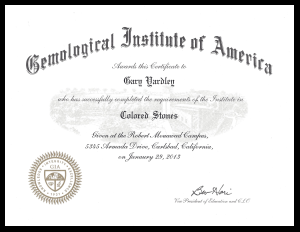 In March 2011 Gary earned a diploma from the Gemological Institute of America as an Accredited Jewelry Professional. 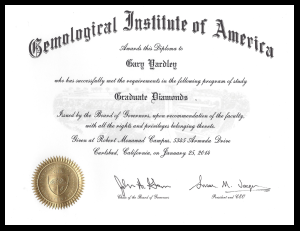 and a Graduate Diamonds diploma in January 2014, from GIA. 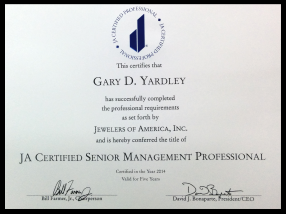 and his Senior Management Professional certification; both from Jewelers of America. 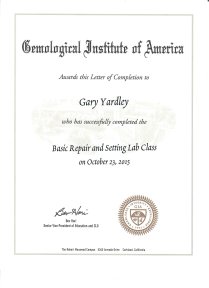 In October of 2015, Gary earned his Basic Repair and Setting, and Intermediate Repair and Setting certificates from GIA. 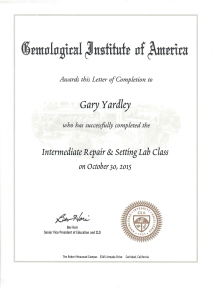 Gary competed the Graduate Gemologist program through the Gemological Institute of America in January 2016, earning him the highest, and most notable distinction in the jewelry industry.